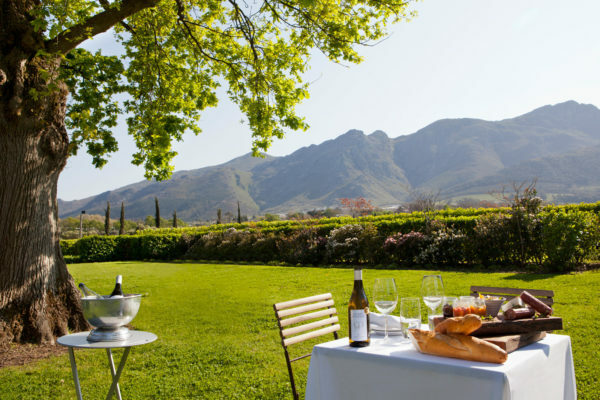 Summer is here in all its glory and, with the sun setting that much later, there’s plenty of time to soak up its rays and join MIRANDI NEL in unwrapping the many gifts Stellenbosch and its surrounds have to offer. Already well known for its wine-and-cupcake pairing, Delheim Wine Estate has introduced a new ingredient: fynbos. It’s a fitting addition as the estate hosts a specific fynbos type and has long practised eco-friendly farming methods and sustainable winemaking. The wine-and-fynbos-cupcake pairing is available at R120 per person. Bookings are recommended: email cellardoor@delheim.com. Find out more at www.delheim.com. Grande Provence in Franschhoek offers an exciting new taste experience: a three-course pairing of hummus and wine comprising a bean hummus with Grande Provence Chardonnay, a spiced red lentil hummus with Grande Provence Shiraz, and a fig hummus with Angels Tears Moscato. The pairing is available daily from noon to 5pm at R90 per person. For more information, go to www.grandeprovence.co.za. There’s nothing that says ‘Italy’ quite like limoncello, the lemon liqueur that’s perfect for sipping on a balmy evening. 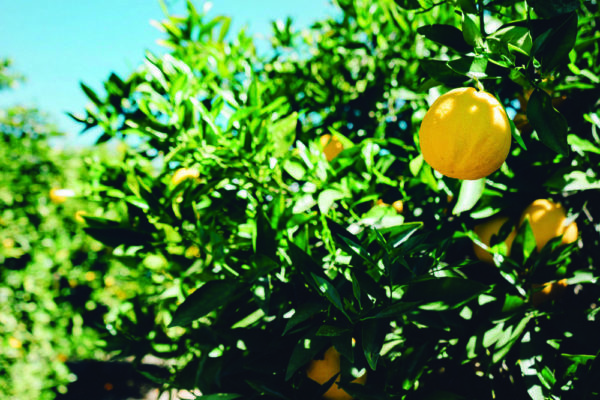 One story about its origins tells how limoncello was created early in the 20th century by Maria Antonia Farace. Her grandson, Massimo Canale, opened a restaurant after returning from World War II and its speciality was the lemon liqueur made from his nonna’s old recipe. To make a home-grown version of limoncello, all you need is 8–10 lemons (I recommend the Eureka variety), a litre each of straight vodka and water, and 1kg of sugar. Pour the vodka into a screw-top jar. Cut the zest from the lemons and add it to the vodka. Leave the mixture in a dark place to allow the lemon flavour to infuse into the alcohol. After a week, make a syrup by bringing the water to a boil and dissolving the sugar in it. Allow the syrup to cool. Strain the lemon zest from the vodka, then mix the syrup and alcohol. Decant into bottles and leave in a dark place for 10 days. Serve chilled, straight from the freezer. Share your South African limoncello with us on Facebook @stellenboschvisio, Instagram @sbosvisio or Twitter @sboschvisio with the hashtag #ShareTheDream. If you think mountain biking is all about grinding gears and eating dirt, think again. 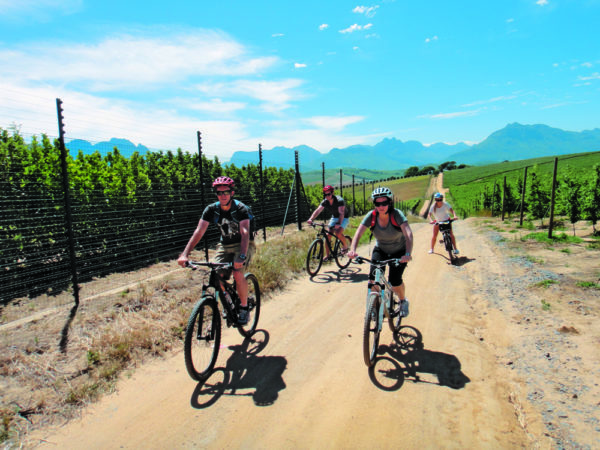 Imagine a leisurely cycle tour along the picturesque back roads of Devon Valley, visiting wine farms and sipping their produce along the way. Bike & Saddle’s tour provides all the above, combining gentle exercise, magnificent views and a spectacular wine and gourmet food experience. Hosted in conjunction with the finest wine estates in the valley and Clos Malverne Restaurant, the tour meanders along a 20km path through the heart of the valley. Plenty of water breaks are included to keep you hydrated. The intensity of the cycling can be adapted to suit all levels of experience and fitness; it’s up to you what you want from the day. And if you are a real dirt hound, no worries, the team can accommodate that, too. Still in doubt? Go on, you will only know if you pedal it out. You can just imagine it, can’t you? You’re cruising through Stellenbosch in a chauffeured luxury vintage car, waving regally to passers-by. 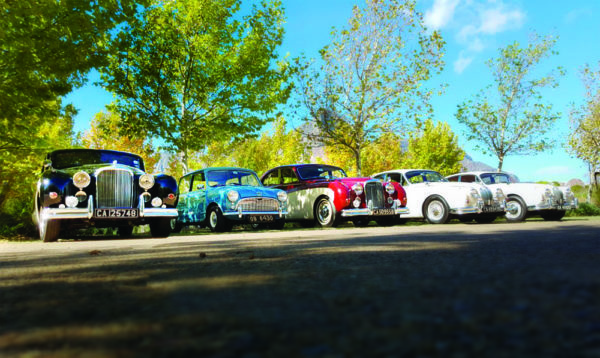 And you can do it for real, with Classic Cats, a luxury classic and vintage car hire firm that offers an opportunity to experience the Winelands in an immaculately kept vintage ride. Various options are available, including five-hour tours through the Stellenbosch region, wine tasting and lunch included, and visiting either Mulderbosch, Zorgvliet and Avontuur (lunch) or Morgenhof, Stark-Condé and Jordan (lunch). Alternatively, you could take a six-hour tour to Franschhoek, also with a tasting and lunch, visiting Tokara, Chamonix and La Motte (lunch). Customised packages are available. Rates start at R4 100, with prices depending on the car you choose for your ride. To book, email info@classic-cats.co.za or call 061 783 1156. For more information, go to www.classic-cats.co.za. You’ve no doubt wondered about that big pink comb on the corner of Dorp and Bird streets. Would you believe it’s a bike rack? 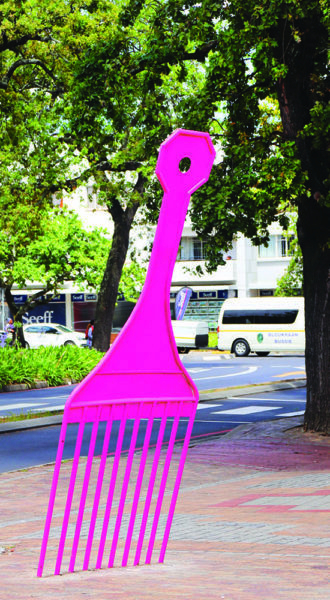 My Pink Comb by artist Selina Mhango is part of the Stellenbosch Outdoor Sculpture Trust’s (SOST) annual functional art project, which has installed a number of public art bike racks all over the town centre with the aim of encouraging people to think creatively about public spaces and promoting Stellenbosch as a cycling destination. My Pink Comb is one of 12 racks to discover and photograph. So, dust off your bike and enjoy a healthier and more environmentally friendly form of transportation. The best part of it all? Hassle-free and beautiful parking comes guaranteed! Share a photo of you (and your bike) at your favourite rack: Facebook @stellenboschvisio; Instagram @sbosvisio; Twitter @sboschvisio using the hashtag #ShareTheDream. Located just 30 minutes from Cape Town and overlooking the Stellenbosch mountains and vineyards, the Oude Libertas Amphitheatre is one of the most picturesque and novel ways to experience theatre in South Africa. The theatre is located at the Oude Libertas Wine Farm on the corner of Adam Tas and Libertas Street. For a full list of productions, visit www.oudelibertas.co.za or call 021 809 7380. Bookings at Computicket. One of Stellenbosch’s traffic-stopping highlights in summer is undoubtedly the midweek food-and-wine affair, the Street Soirée. Taking place in the heart of Drostdy Street, this popular opportunity to mingle pops up once or twice a month on #WineWednesday. The soireés are proudly presented by Stellenbosch Wine Routes and include live music and entertainment. “Who doesn’t like a good street party?” asks Elmarie Rabe, manager of the Stellenbosch Wine Routes. “And it’s a great way to get to know your neighbours,” she adds. A buzzing vibe, wonderful wines and the beautiful backdrop of historic oak trees add to the fun. You just need to bring your friends. Each soirée lasts from 6pm until 8pm and features a different variety of cellars and caterers. Entry is R100 per person, which includes 12 tasting tokens. Food dishes are priced individually. This is a great idea to start off your Stellenbosch evening. Later, you can explore the rest of the town. See you there. For more information, visit www.wineroute.co.za. 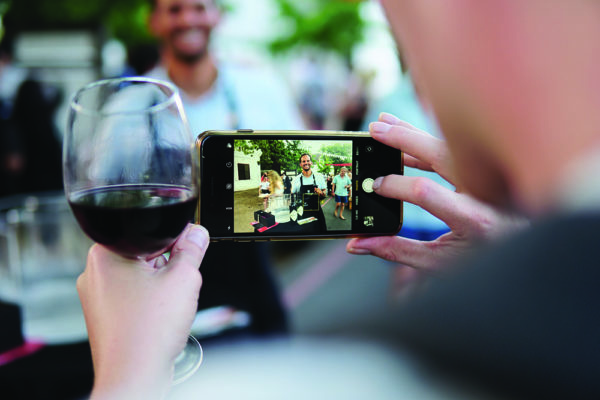 Follow Stellenbosch Wine Routes on Twitter @StellWineRoute or Facebook at STBStreetSoirees. gramme’s team. 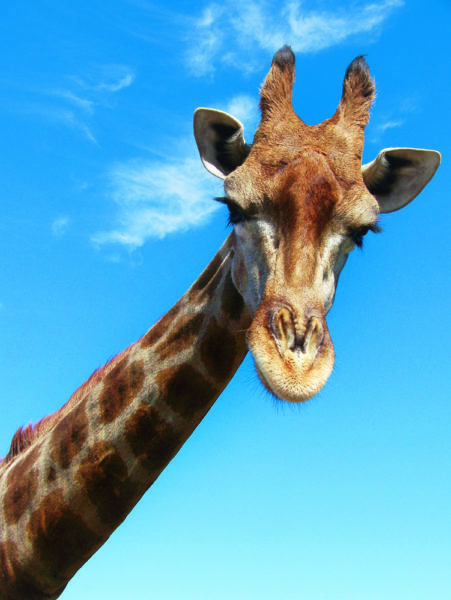 Education is Giraffe House’s primary focus and it caters for school groups as well as older visitors. For more information, go to www.giraffehouse.co.za. To come face to beak with birds of prey, head out to Eagle Encounters at Spier on Baden Powell Drive. As well as getting close to these formidable birds, you’ll have a chance to admire them in flight. Most proceeds from visits to this family-friendly rehabilitation, education and ecotourism centre go to rehabilitating the birds. Eagle Encounters is open daily from 9.30am until 5pm. Entry is R80 for adults and R65 for children, students and pensioners. Find out more at www.eagle-encounters.co.za. Kyle Hanekom is a freelance sommelier who holds WSET and Court of Master Sommeliers qualifications. Having been the sommelier at Indochine, Delaire Graff, and the wine logistics manager for Singita, he knows a thing or two about wine. He recommends a few of his favourite Méthode Cap Classiques from the Stellenbosch area. Welgevallen Die Laan MCC 2011 Produced by the passionate team at the charming little winery of Stellenbosch University’s Department of Viticulture and Oenology, this limited-production wine is made from 100% Chardonnay and, despite its age, has freshness and vigour. The lively acidity is complemented by creaminess on the palate, thanks to 42 months spent on the lees. Boer & Brit Suikerbossie Rosé Made from 100% Pinot Noir and having spent 36 months on the lees, this bubbly is rich, round and plush. On the nose, you’ll find grapefruit, red cherries and strawberries, but it’s the feel in the mouth that really gives the Suikerbossie its ‘wow!’ factor. Delaire Graff Sunrise Brut Chenin Blanc leads the way in this unusual (for South Africa) MCC blend, with Chardonnay contributing a third and a splash of Cabernet Franc rounding it off. Inspired by the sparkling wines of the Loire, winemaker Morné Vrey has created magic, giving the bubbly complexity and character despite only 15 months on the lees. Kleine Zalze NV Brut Made by Lizemarie Geldenhuys, this classic Chardonnay (60%)/Pinot Noir (40%) blend spent 10 months on the lees. Its attraction lies in the mousse: it’s round and the bead is persistent but in a soft, feminine way. This easy-drinking bubbly is a good one to share with friends. Looking for an adrenaline rush? 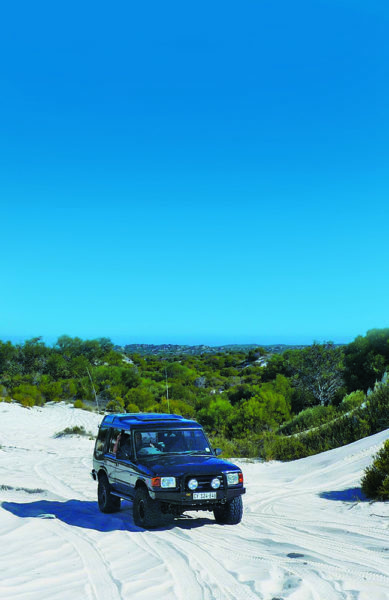 If extreme dune bashing sounds like your kind of excitement, Head Out Adventure Tours might just offer what you are looking for. The team will take you to the Atlantis sand dunes, about 30 minutes from Cape Town, and let you experience the gravity-defying stunts their highly skilled drivers can achieve in modified 4x4s. Expect an hour-and-a-half of zipping along dunes in a vast area, followed by an optional five-course dune braai. This is the perfect activity for the whole family and a magnificent opportunity to take beautiful photographs. For more information, go to www.headout.co.za. To book, call 082 493 3377. 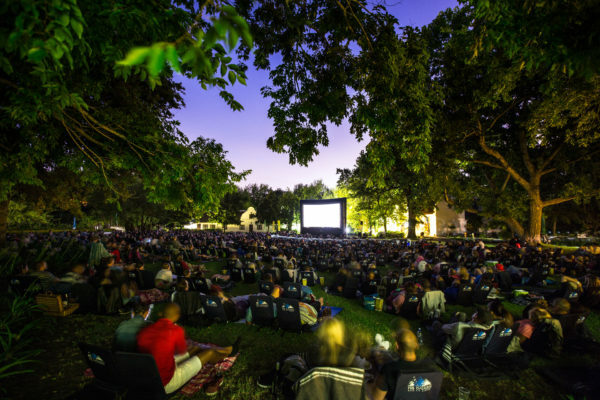 To share your events, send an email to editor@stellenboschvisio.co.za.